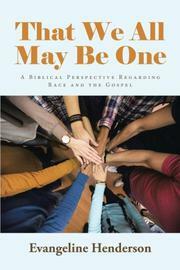 A debut author looks at her life and the Bible through the lens of racial tensions. Henderson writes that her earliest recollections of race came from her parents. “When you’re a black child living in America,” she explains, “you’re told early on what is expected of you and how you will be perceived by others—especially whites.” Although she formulated many questions about this harsh reality, Henderson found that God responded to an “unspoken cry for help.” He led her to understand Jesus as a master of “human relations.” She shares her own analysis of the parable of the good Samaritan, drawing attention to the segregation in Jesus’ story. Then Henderson takes readers back to the Old Testament, re-examining the tale of Jonah and his reluctance to visit Nineveh. In the New Testament story of Peter and Cornelius she finds more evidence to support Jesus’ appeal for a united people, free from the restrictions of racism. In her own life, Henderson feels God’s calls against racism in two episodes: an inexplicable desire to comfort the family of a dead young white man she had never met and a letter she crafted to famed Ku Klux Klan leader David Duke, urging him to remember a time before he was radicalized by Satan himself. On the surface, these two incidents should feel outlandish and bizarre, so it’s a credit to Henderson’s prose that she manages to make them feel relatable. Her inner terror at realizing how crazy it is that she is the only black person at the funeral for a white man she never met comes off as funny and endearing. Similarly, the letter to Duke reads as passionate and hopeful rather than naïve. Unfortunately, the same strengths are not so easily present in the portions dealing with biblical passages. Her examination of Jonah in particular fails to bring anything new to the well-known tale, instead rehashing a Sunday school lesson with a few references to racism tacked on. While her strong religious beliefs have certainly driven her to produce this volume, readers will probably be left more interested in Henderson herself. A book about race, Scripture, and faith that works best when the writer speaks to her own experiences.